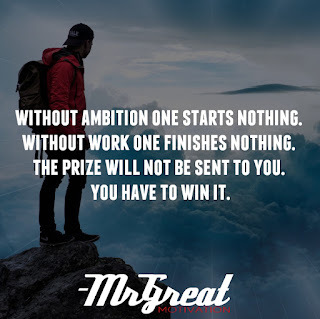 Without ambition one starts nothing. If you don’t work at how to reach or improve your goals in life, you will not be able to gain a greater lifestyle that you deserve. 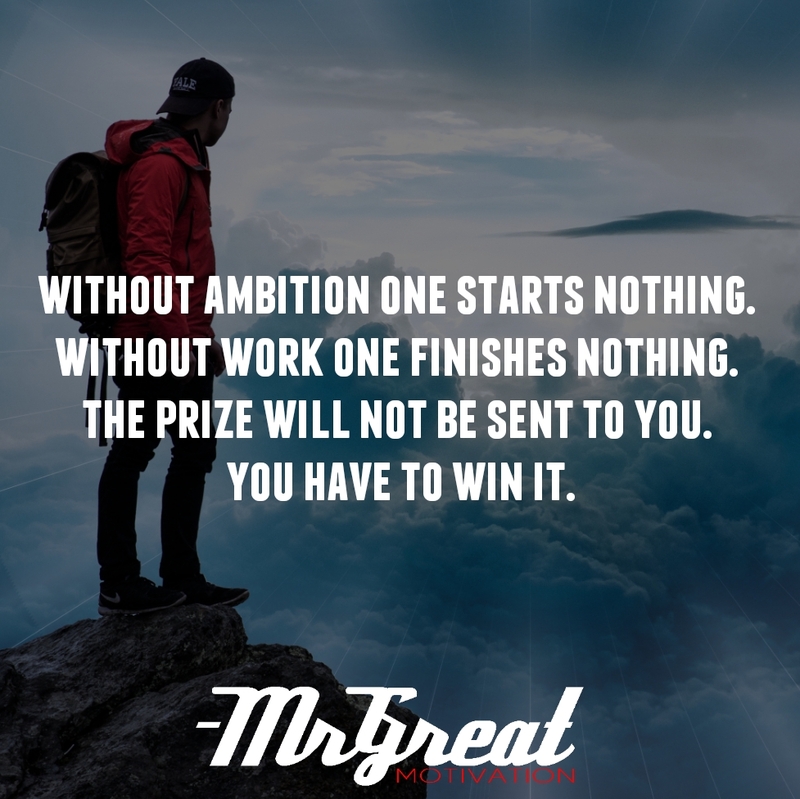 If you don't have anything to work for, you have nothing to look forward to. Without work, one finishes nothing. The prize will not be sent to you. You have to win it. You have to earn it. The man who knows how will always have a job. The man who also knows why will always be his boss. The man who perceives principles can strongly select his own ways. The man who tries different ways, ignoring systems, is sure to have struggled in a way to accomplish the goal. Each new day is a blank page in the diary of your life. The secret of success is in turning that diary into the great story you possibly can write by your hard work and efforts. You always have to trust in yourself and your abilities. If you are focused on your goal and work on it on the daily basis, you will definitely succeed. When talking about nailing our routines in job or business, we should always remember that – “We need to make it happened rather than let it happened” Our endless efforts hours are the preparation, the bank deposits we make would cash in big Prize one day. We’ve got to have both huge aspirations and a huge amount of grit to power through all the crap that comes between us and the prize. So go out and get it. Stay motivated.